If you need help understanding the property licensing rules in Ealing, you have come to the right place! We are experts in housing regulation and have produced this free guide to help you understand the council’s property licensing schemes. If you find that you need a licence for your rented property our support doesn’t end there. We can handle the licence application process and provide you with expert advice and guidance along the way (read here). Once you have read through our guide, if you do need any assistance you can contact us here. To help set the scene, the London Borough of Ealing is in west London covering an area of 21 square miles. It is bordered by the boroughs of Hillingdon to the west, Hammersmith & Fulham to the east, Harrow and Brent to the north and Hounslow to the south. According to the 2011 Census about 28% of the housing stock was privately rented which is higher than the London average of 25% (1 in 4). There is quite a high chance you will need a licence to rent out your property in Ealing although you need to study the arrangements carefully as one of the licensing schemes only applies to part of the borough. We will try to explain. On 1 January 2017, Ealing Council introduced a borough wide additional licensing scheme together with a selective licensing scheme that only covers part of the borough. Both schemes operate for five years until 31 December 2021. There is also the mandatory HMO licensing scheme that applies across England. So in total, there are three separate licensing schemes. We will try to help you choose the right licence for your property. All HMOs in buildings containing a mixture of commercial and residential uses. c) the conversion did not comply with the relevant Building Regulations in force at that time and still does not comply. Fortunately, Ealing have restricted the licensing of section 257 HMOs to buildings where the number of flats exceeds the number of storeys in the building and where the building and all of the flats within it are either in the same ownership or considered by the council to be effectively under the same control. We understand the restriction on the number of flats exceeding the number of storeys does not apply in mixed use developments, or above commercial premises. This is a complex area of law and you may need further advice. You will need a selective licence if your property (house or flat) is let out to a single person, couple or single household and is located in the Council wards of Acton Central, East Acton, South Acton, Southall Broadway and Southall Green. Selective licences are also needed for HMOs in these areas that do not fall within the mandatory HMO or additional licensing schemes. If you rent a property to a single household in other parts of the borough, the selective licensing scheme does not apply. This adds another layer of complexity as most landlords won’t be familiar with the ward boundaries and neither will tenants or agents. To find out if your property is within the selective licensing area, you can use a postcode search facility on the council’s website. In summary, if you rent out a House in Multiple Occupation in Ealing, it will need to be licensed if it meets their scheme criteria. If you rent out any other property, it will need to be licensed if it is in the Council wards of Acton Central, East Acton, South Acton, Southall Broadway and Southall Green. For mandatory HMO licensing, Ealing Council charge a standard fee of £1,100 (£1,007 in 2015/16, £994 in 2014/15) per property plus an additional £30 for each habitable room (i.e. bedroom or living room). So the fee is £1,250 for a three storey shared house with five single person lettings and no shared living room. For selective licensing, Ealing Council charge a standard fee of £500 per property. However, if the same landlord has two or more flats within the same building, we understand the fee has been reduced to £350 per flat. There is also a £75 discount if the licence holder or designated manager belongs to an approved accreditation scheme which we think this is a good idea. The fees we have listed were correct as of November 2018, but could be subject to change in the future. You can view the fees in full on the council’s website. Ealing Council have introduced a fully integrated online application system for mandatory HMO, additional and selective licence applications. You can apply by visiting the council’s website. In addition to completing the application form, Ealing Council ask you to provide various supporting information, so make sure you have all your property information at hand. Yes, Ealing Council has adopted HMO standards that you can view on the council’s website. The standards apply to Houses in Multiple Occupation that are licensed under the mandatory HMO or additional licensing schemes. They cover a range of issues such as kitchen, bathroom and toilet facilities, room sizes, fire precautions, heating, lighting and ventilation. In December 2015, Ealing Council announced they had licensed 377 HMOs under the mandatory HMO licensing scheme, up from 310 in February 2015. There were a further 247 HMOs licensed under the additional licensing scheme. In August 2017, the council told us they had approved licensed 510 properties under the mandatory HMO licensing scheme, 484 under the additional licensing scheme and 795 under the selective licensing scheme, so 1,789 in total. The council are processing a further 3,000 applications so they must be very busy! Ealing Council keeps a public register of all licensed properties that is regularly updated and can be viewed on the council’s website. When you click on the link, you will need to select ‘Licensing’ in the search box in the top left corner. We would suggest you then pick ‘Advanced’ and then select the licence type you are interested in. Yes, according to the council’s estimates, there could be another 10,000+ properties where no licence application has yet been submitted, as of August 2017! Ealing Council have told us that their 2010 house condition survey estimated there were 980 HMOs that needed a licence under the mandatory HMO licensing scheme, although their July 2016 Cabinet Report raised that estimate to around 5,000 properties. A further 15,000 applications are expected under the additional licensing scheme and 5,000 applications under the selective licensing scheme. If you are the landlord of a licensable but unlicensed property, we would strongly recommend you apply now to avoid facing serious consequences. Ealing Council told us they took four housing prosecutions over the three-year period April 2011 to March 2014, two prosecutions in 2014/15, six prosecutions in 2015/16 and two prosecutions in 2016/17, so it seems they are stepping up their housing enforcement activity. The council have not obtained any Rent Repayment Orders from the landlords of unlicensed properties over the six years from April 2011 to March 2017. This is based on data published by the Courts and Tribunals Judiciary. Whilst we don’t have any figures for the NLA or RLA schemes, we have got information about the London Landlord Accreditation Scheme that is supported by all the London Boroughs. In January 2016, they told us there were 835 accredited landlords in Ealing, which is the highest out of all London boroughs. By January 2018, that figure had increased to 1,116 which remains the highest in London and is almost twice the average when compared to all the London boroughs. Well done Ealing landlords! To find out more about becoming accredited, you can visit the London Landlord Accreditation Scheme website here. In June 2015 Ealing Council told us that research was being carried out to review the additional licensing scheme and assess the feasibility of any future licensing schemes in the borough. On 15 December 2015, a report outlining private rented sector licensing proposals was presented at the Cabinet meeting (view here - see agenda item 19). The report recommended consultation on a borough wide additional licensing scheme covering all HMOs, plus a smaller selective licensing scheme covering all private rented homes in the five council wards of Acton Central, East Acton, South Acton, Southall Broadway and Southall Green. The public consultation exercise took place from 11 January to 3 April 2016. A report was presented at the Cabinet meeting on 12 July 2016 (read here), approving new selective and additional licensing schemes that started on 1 January 2017. There is clearly a lot happening in Ealing so we will continue to monitor the situation and will keep you posted. For all the latest news, you can sign up to our free newsletter. In August 2016, we checked with Ealing Council and found that there is currently no HMO Article 4 Direction in force. Remember that this is only intended as general advice and no liability can be accepted for any reliance upon information provided. We would strongly encourage you to contact the Council’s Planning Department or seek independent legal advice before you start a new HMO development. You can find more information about Article 4 Directions on the council’s website. 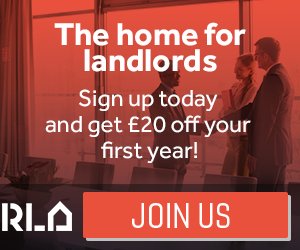 Apply now for Ealing property licence and save 25% on the cost!! Mandatory HMO and additional licensing schemes apply borough wide. A selective licensing scheme covers part of the borough.